Engage your students with VocabularySpellingCity while building word recognition, providing multiple exposures to vocabulary, writing practice, and word meanings. Word recognition plays a critical role in reading fluency and comprehension. Knowledge of letter patterns in words provides students with clues for spelling. Engaging practice with VocabularySpellingCity helps develop automatic recall. Reading is the process of changing printed words into language (DECODING), while spelling is the converse process of changing spoken words back to print (ENCODING). Use of VocabularySpellingCity helps develop spelling skills to link students’ verbal and written language skills. VocabularySpellingCity offers language arts lessons and ready-made lists of syllables, word roots, prefixes and suffixes that may be used when teaching structural analysis. Beginning spellers and struggling students often require multiple exposures to words in order to learn to spell and understand their meaning. Ongoing exposure and reinforcement aids long-term learning. 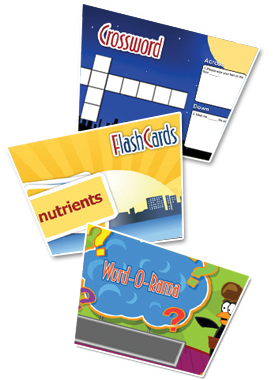 Students can study using online FlashCards, completing a crossword puzzle, quizzing themselves in a game show format activity, or taking a practice test on VocabularySpellingCity. More than 40 activities offer immediate feedback, motivating students to keep studying. VocabularySpellingCity builds print awareness, helping students to visually identify words. Most of our games have printable versions. You may also print out handwriting worksheets of your word lists. Words and sentences are read aloud on VocabularySpellingCity to help aid correct pronunciation and use in context. Strong spelling skills allow writers to focus their effort on generating ideas and expressing creativity, rather than struggling to get their words on paper. VocabularySpellingCity includes writing practice activities using their spelling and vocabulary words in context. Studying a word in depth helps to ensure that students will be able to recognize it, spell it, define it, and use the word appropriately in speech and writing. Learning new words by deriving meaning from context is an important skill. 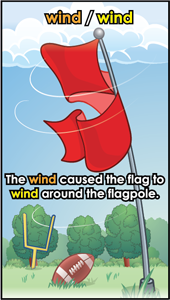 Context is especially important when studying homophones and multiple meaning words. VocabularySpellingCity helps students recognize words in context by offering 60,000 ready-made sentences for over 50,000 that can be used in games and learning activities. Teachers and parents have the option of adding their own sentences to customize the content to fit their instruction. Knowledge of word parts such as prefixes, suffixes and roots, is helpful in the development of spelling and vocabulary skills. VocabularySpellingCity provides ready-made lists of prefixes and suffixes that can be imported into your own account for your students’ immediate use.